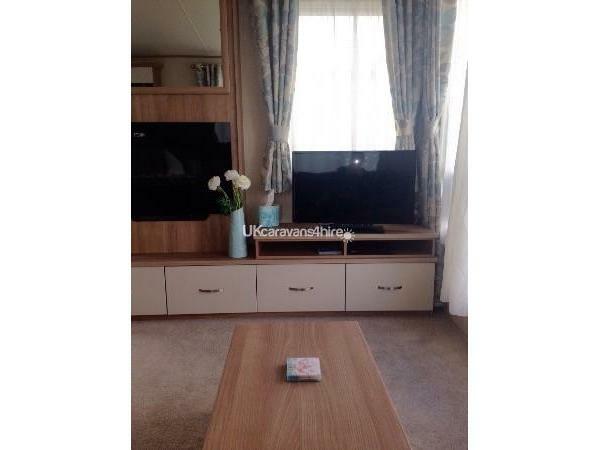 There are two bedrooms, one double room, one twin, and another double bed within the lounge area. The caravan is equipped with fridge, freezer, toaster, microwave and everything you need to make your self catering holiday complete. New For Season 2019 unlimited WIFI during your stay. Additional Info: Modern Restaurant and Lounge. Refurbished towards the end of Season 2017. We had a great midweek stay in the caravan. Was found just as the photos show on here. Very clean, fresh and homely. It has a genuine great view of the bay and most of the East sands. A nice balcony and chairs etc. It is a great wee base to holiday from and relax. The site is big but feels very safe and quiet and is kept immaculate too. We have holidayed at this caravan park numerous times before and this was our first time using this holiday home. The caravan was excellent, very clean and well equipped and homely, with a fantastic view, we hope to stay again soon. Thank you. 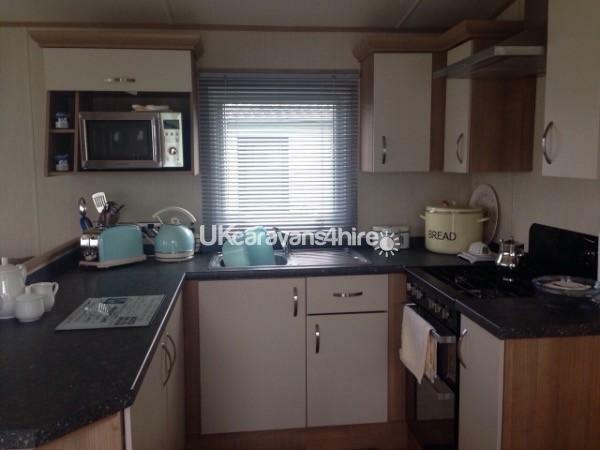 Really homely clean caravan, well equipped and lovely views. Sally very helpful and lovely. We hope to be back many times ! Thanks for your lovely comments they are much appreciated. My family(inc my husband, 6 year old daughter, grandparents and sister in law) stayed in this lovely caravan for a weekend break. 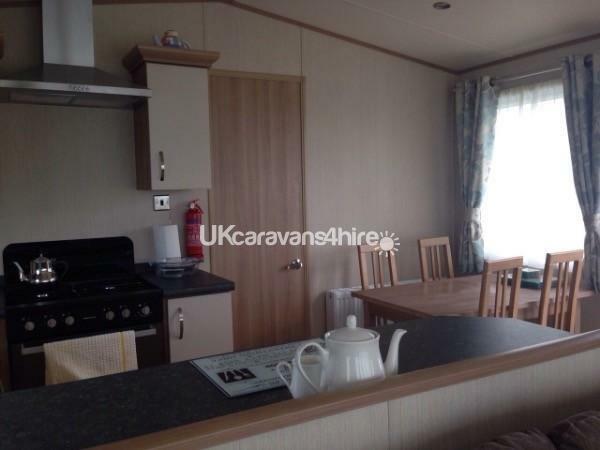 The caravan is very modern and in immaculate condition. 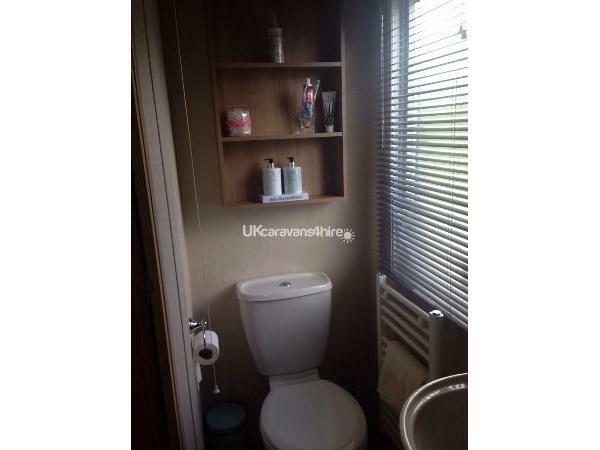 It has everything you need if you are self catering. It also has some lovely homely touches. The view from the caravan is beautiful, it looks onto the beach and across St Andrews. It is also only a short walk down to the beach and swimming pool, which is great if you have kids as you can pop up and down. The decking is lovely to sit out on and enjoy the views. We all enjoyed our stay in the caravan and there was plenty of room for us all. 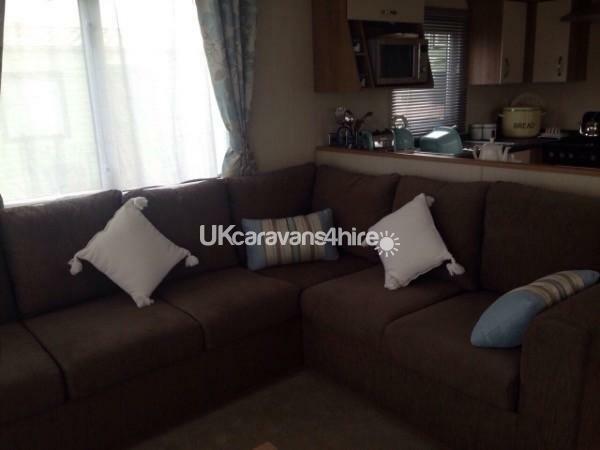 I would highly recommend this caravan.